I have put together this guide to help people that are new to iRacing Team Racing get to grips with the various features of how the team racing works within iRacing. Team driving within iRacing has been available since the start of Season 4 in 2014. 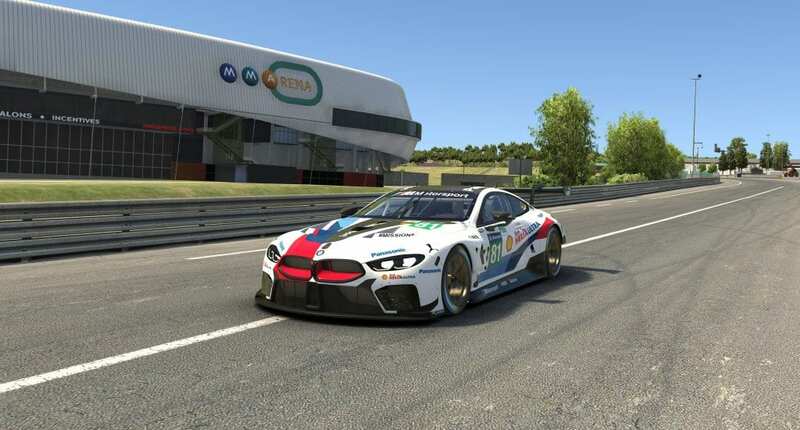 This coincides with various endurance championships and one-off scheduled events (Le Mans 24 Hour) that iRacing puts on throughout the calendar year. Team racing sessions will have a defined number of drivers that each team must have registered as a minimum and in some cases, they can also specify a maximum number of drivers that can participate in a team. Driver change rules are normally enforced in the “Race” session and if the minimum requirements for that session are not followed a DQ will be awarded at the end of the race session. Spectators can register individually as they all ways can. However, all participants must register as part of a team. When you register for the session you can either choose to register as part of an already registered team of which you are a member of and have the team’s password or can choose to register one of your own teams or you can create a new team for the session. When you register a team for a session, you may choose whether or not you are also registering yourself for the session (a team manager who does not intend to participate in the session might use this). Until the session is launched, you are allowed to withdraw your entire team’s registration as long as no other team member is also registered for the session (you can’t yank your team’s registration out from under your teammates). Once the session has launched, you are free to withdraw yourself from the session, and you are free to register yourself and/or your team for a different session, but you may not withdraw your team from the current session. It is possible that you could be a member of more than one team that is registered for a session. Prior to the session is launched, you are free to register/withdraw/re-register as a member of any team that is registered for the session. Once the session launches, you will be locked-in to the team for which you are registered – you may not jump back and forth between teams during a session, even as a spotter or crew member. or example, you can participate in an endurance Team race for an hour, withdraw from that race, drive in some other session, log off and go to sleep for several hours, then come back later for another stint in the endurance race. At most six members of a team may be connected to a session at any one time, though many more than that may connect and disconnect over the course of a session (the current limit is 64 team members). If your team currently has the maximum number of allowed members connected to the session and you attempt to connect, instead of launching the simulation the web site will notify your currently-connected team members that you wish to join the session. If one or more of them exit the session, there will then be space for you, and you will be allowed to connect. It is up to the team’s members to decide who should be present at various times during the session, and what roles they are to fulfill. All team members with a sufficient license and/or iRating for the session are eligible to drive the car. All team members are eligible to put the car into the garage and make setup changes, become the Crew Chief (and so make black-box changes to be applied during pit stops), or to spot for the driver. Team members may change roles during the session, and could possibly play more than one role at the same time (spot for the driver and act as the crew chief, for example). In Race sessions, only as many team members as the maximum specified by the session will be allowed to get into the car. In Open Qualify sessions that are scored as “best lap” (currently this is all such sessions), the fastest lap put in by any of the team’s drivers will be used as the team’s Qualifying time in any immediately-following Race session. It is not required that the same iRacing team members drive in the Practice, Qualify, Warm-up and Race portions of a session. Each portion of the session is considered individually. In iRacing official series that use separate Qualifying sessions, a team’s Qualifying time is used to establish the starting grid position for the Race session, and it will be computed as the best Qualifying time set by any of the team’s members who are fully registered for the session as the session is launched. The Qualifying time of team members who are not fully registered (don’t have a [Race in 1:30] type of status on the Race panel) are ignored. It is not required that the team member whose Qualify time established the team’s grid position drive in the Race session, however, If that team member does not place the car onto the starting grid, then any team member will be allowed to place the car onto pit road and wait for a missed-start to join the race. For a team to be considered “Official” in a Race session, and thus for any of its drivers to be eligible for Championship Points, the team must adhere to the “driver change rules” for the session. There are currently two options: “No Rules” or “Drive Your Fair Share”. If the “No Rules” option is selected, then there are no requirements placed on the team for how many drivers must drive the car, or how much each driver must drive. The “Drive Your Fair Share” rule operates as follows: at least the minimum number of drivers specified by the session must drive the car a “fair share” of the team’s laps, or the team will receive a post-race Disqualification. A fair share is currently defined as 25% of an “equal share” of the laps. n/r(R) That is read as n laps driven / out of r laps required as of now, or (R) laps estimated to be required by the end of the session. It will be colored red if the team member has not driven enough laps to be considered official at this point in the race. 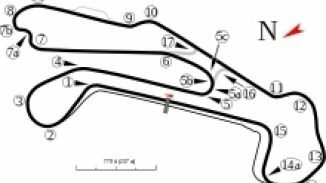 It will be colored yellow if they have driven enough laps as of this point in the race, and it will be colored green if they have driven enough laps that they would be considered official at the current estimate of the number of laps that your team will complete in the session. In a 100 lap race with a minimum of 4 drivers per team, an equal share for each team driver would be 25 laps. 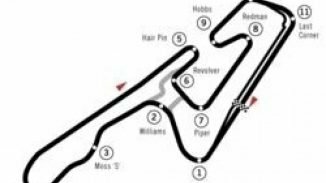 Each driver’s fair share would thus be 25% of 25 laps, or 7 laps (0.25 * 25 = 6.25 laps, but any fractional portion of a lap always bumps the requirement up to the next full lap). It would be unwise to create a race where the minimum number of drivers exceeds the race’s lap limit, as it would then be impossible for any team to meet the requirements. The determination of whether your team has met the driver change rules in the session is computed against the number of laps your whole team completes in the session. For example, if in a 100 lap race with a minimum of 4 drivers your team only finishes 50 laps, the “fair share” for each of your drivers would be 50 / 4 * 0.25 = 3.125 or 4 laps. Keep this in mind when determining your strategy for the race. If you divide the driving up into the minimum number of roughly equal-length stints, and your second-to-the-last driver crashes your team out of the race, your final driver will not be able to race any laps. Since you then have had too few drivers finish a “fair share” of the race, your team will be Disqualified. In addition to the “minimum number of drivers,” sessions have a separate “maximum number of drivers” setting. In this same example, say that a team wants 6 of its members to drive. Then for all 6 drivers to be “Official” and receive championship points, each would have to drive their fair share of the laps. An equal share of 100 laps for 6 drivers would be 100/6 = 16.67, and a fair share of that would be 0.25 * 16.67 = 4.17, “ceiling” to 5 laps. So once you go beyond the minimum number of different drivers in the session, the number of laps required for each driver can be smaller. 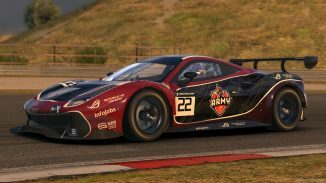 It is possible for an iRacing team to be Official for the session, even though one or more of its members who drove is not considered to be Official. Taking the prior example, say that in a 100 lap session that requires a minimum of 4 drivers, a team has 6 of its members drive. Say those drivers drove 30, 20, 20, 20, 6, and 4 laps. The driver who drove only 4 laps would not be considered Official since they didn’t drive enough laps, and they would receive 0 Championship Points for the session, while the remaining 5 iRacing team drivers would each receive the number of points the team garnered. When in the simulation, the [Drive] button will be displayed to all iRacing team members who are eligible to drive in the session whenever the team’s car is “available.” The car will be unavailable when one of the team members is “in” the car (driving, stopped out on the circuit, or stopped in the pit stall), whenever someone has the car in the garage if the session is over if the team has been DQ’d. 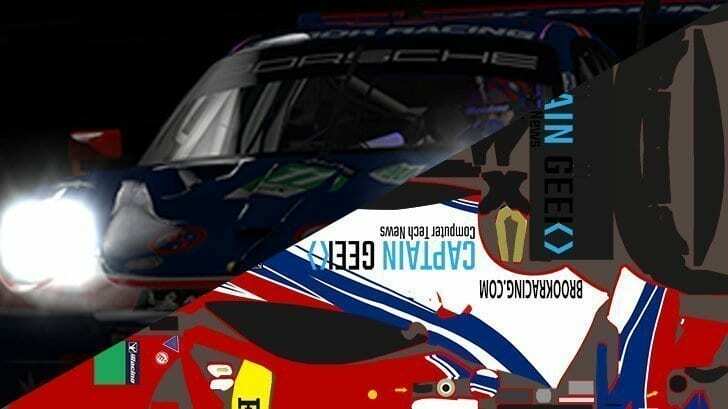 An iRacing team member will be ineligible if their license level and/or iRating is insufficient for the session, or if the team has reached its maximum driver limit in a Race or Lone Qualify session and that member has not yet driven in the session. It is up to the team’s members to decide who should drive the car at any given time. Pressing the [Drive] button registers your request to get into the car. If your request is the first one processed, you will be put into the car. While another iRacing team member is in the car, the [Drive] button will be disabled. Using ESC while out on track operates mostly as before (either the car is reset to the pit stall and made “new”, or it is towed to the pit stall in its current condition), and the driver is removed from the car. Using the Car Reset control does mostly the same thing, except that the driver is left in the car. While sitting stopped in the pit stall, using ESC or Car Reset (if it is allowed to do so) will remove the driver from the car and leave the car in the pit stall. If necessary, the pit crew will turn-off the car’s motor so that it does not overheat. A driver change can only occur while the team’s car is sitting still in the team’s pit stall. Your current driver may exit the car immediately upon coming to a stop in the pit stall, and the substitute driver may click [Drive] and get into the car right after that. But a substitute driver may not drive away until a 30-second “driver-swap” timer has expired. 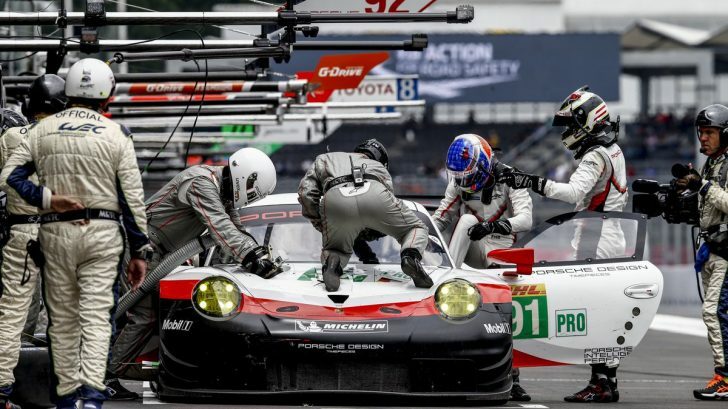 The “driver-swap” timer starts from the point in time when the car came to a stop in the pit stall, so there is no need to attempt to quickly get the current driver out of the car, or the substitute driver into the car. The timer will count down both while no pit service is being performed and while pit service is being performed, but it will not count down either while the car is being towed to the pit stall, or while a penalty is being served. If the team’s car comes to a stop out on track, the [Drive] button for all the other team members will become a [Return To Pit] or [Tow Car] button, and any teammate can use the button to request the action (just as if the driver hit ESC or Reset). If the team’s car is at a stop in the pit stall with the driver in the car, the button will become [Remove Driver], which will pull the driver from the car (just as if the driver hit ESC or Reset). Generally, the driver should be allowed to call for the tow or exit the car on their own. The car must be stopped for at least 5 seconds before these buttons become available for the teammates to use. Their purpose is to allow the team to recover the car if their current driver becomes distracted, or walks away from their computer. So long as it is allowed to make changes to the car in the garage, any team member may remove the driverless car from the pit stall and put it into the garage. 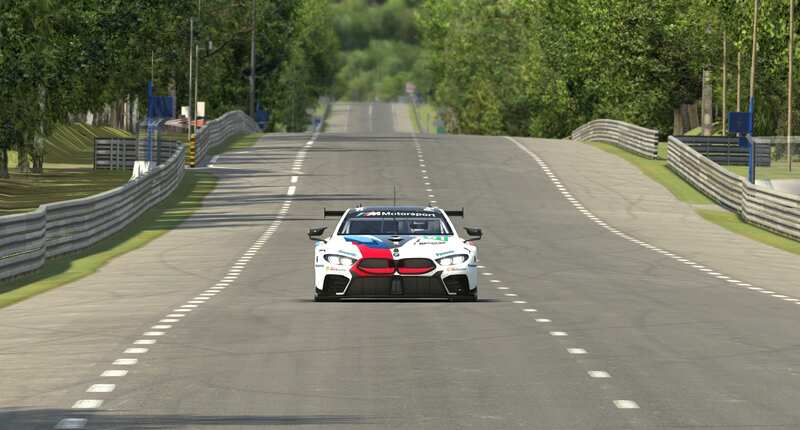 Whether or not any changes are made to the car in the garage, the car is left off-track until the next iRacing team driver uses [Drive] to put a “new” car back on-track.